For years I have been using Crashplan for home backups, but I stopped using their cloud service for backups because if I forget to renew they delete all my backups in the cloud and I have to start over. I started just using their software to backup to a local NAS device I have with RAID5 enabled. I figure that was good enough for most things I needed. Well, I noticed that on my laptop that I had configured to backup to the NAS (Using a technique I developed) stopped working. I'm not sure if Crashplan got wise to it or what, but it stopped backing my stuff up and said it couldn't connect to the backup location. I decided I needed to use something else. I at first thought about using the built in Windows backup program, but the problem with that is that it doesn't use encryption or offer an option to password protect your backups. 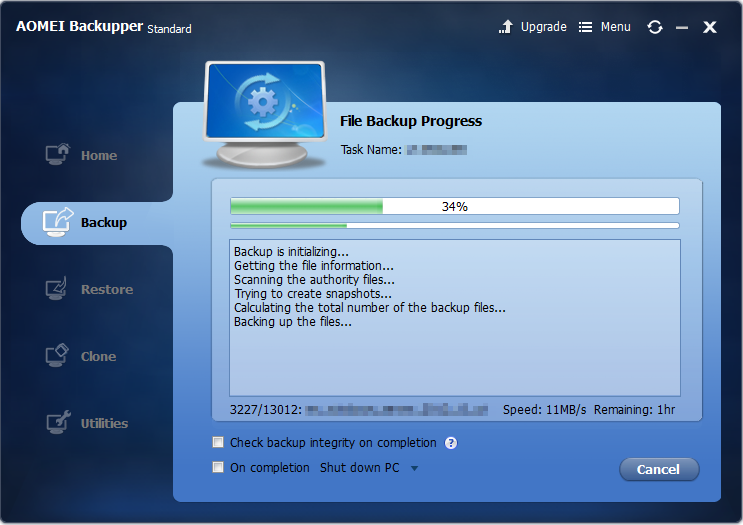 I'm backing up files from my Bitlocker Encrypted files to an un-encrypted NAS device. I don't want to compromise that encryption security by storing my files un-encrypted on the backup device. Makes sense right? 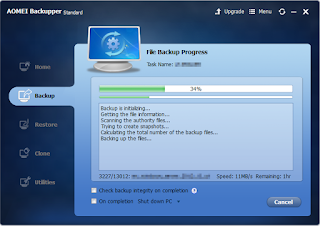 So I decided to try out a free third party backup program called AOMEI Backupper Standard! Besides what's listed, they also offer encryption and compression settings as well as the ability to email you when backups complete or fail so you can set it and forget it! I will try this out for the next few weeks. If it continues to work well, I think I may have found my new backup solution!